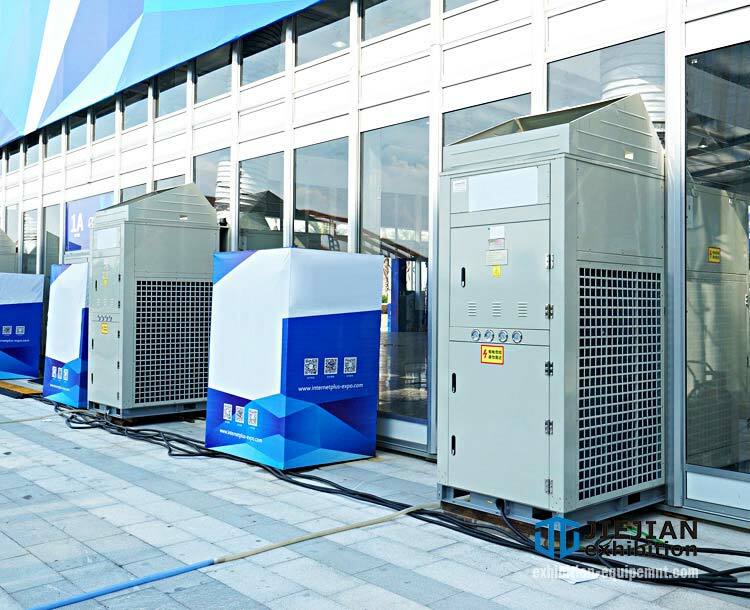 Are you worrying about ventilation (cooling and heating) or sanitation when planning outdoor events? 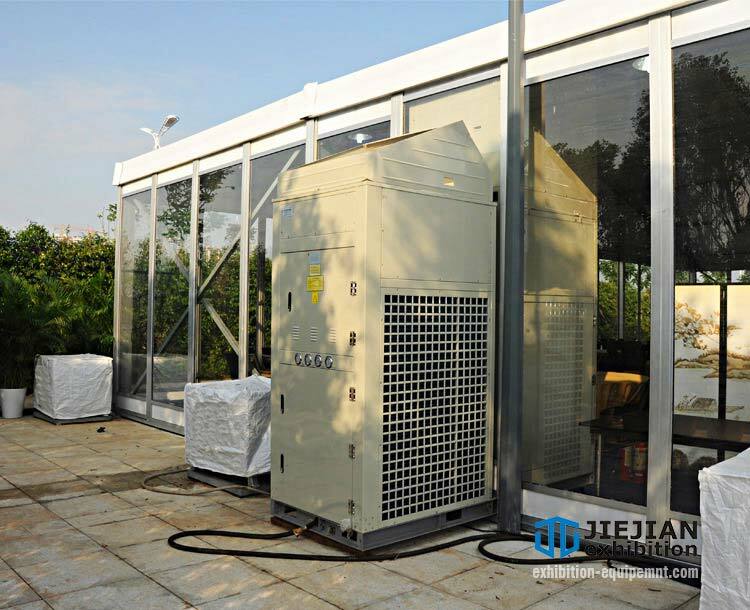 Jiejian may have the ideal outdoor event solutions for your troubles. 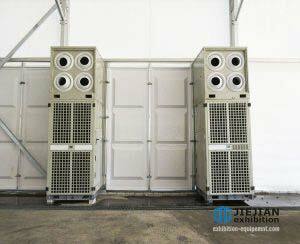 We work regularly for large events from sporting events to trade shows, including Canton Fair and Airshow China. Our clients include many companies worldwide, government agencies, associations and public organizations. Visit our solutions below to read more applications of products, or contact us now for more details. We can provide you with 3D layout demo for your events, exhibitions, and other gatherings. Keeping your venue and guests comfortable is essential to an great event. 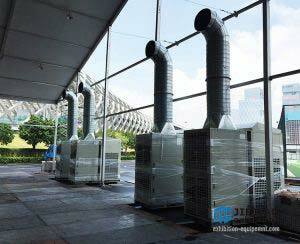 Good news is that Jiejian has custom heating and cooling solutions for you to control climate. We guarantee you the most comfortable temperature that the guests may feel. We will adjust such solutions to all sizes of event tents and current weather conditions. In that case, you can still organize an remarkable event in your tent, no matter where your event locates. 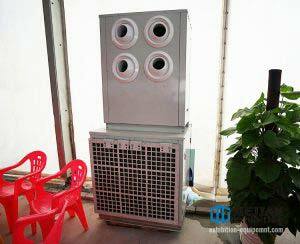 Additionally, we also supply from small to large power generators to keep your heaters and coolers operating. We will work with you to make sure that your venue remains just right and safe. Just complete with mobile air conditioning units and other accessories to ensure your guests’ comfort to create your dream event venue. Clear span structures are perfect event venue solutions, which are much more stable and flexible. Event organizers can erect it on almost any surfaces such as lawn, concrete floor, and sand. 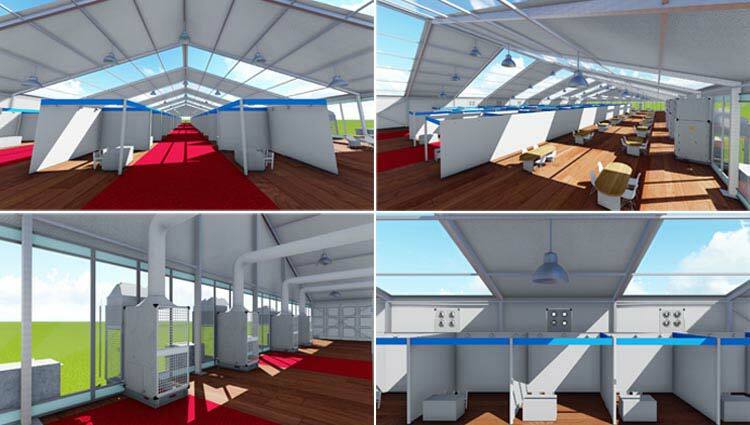 Clear span building systems have no center poles or guy ropes leaving more space to designers. Additionally, they can span a much wider area over pools, flower beds or trees. 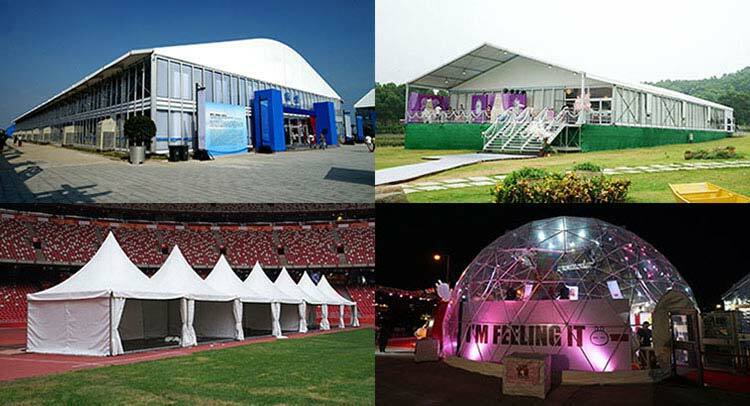 In that case, they are the ideal venue solutions for any events as temporary outdoor structures. However, if you are looking for a special solution, geodesic dome tents would be the best choice. Its unique and fabulous frame structure helps you attract more visitors. 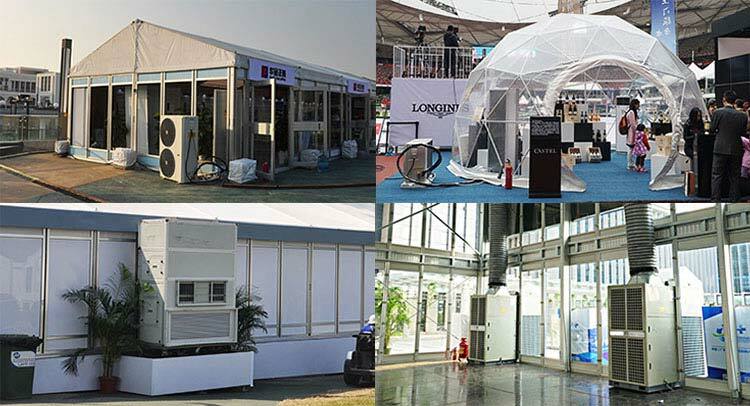 Whether it’s a outdoor event or trade show, Jiejian can provide mobile sanitation solutions to keep guests comfortable. We are the one that offer frequent care and excellent service. Our outdoor porta potties can meet all your temporary sanitation needs when organizing events and gatherings. Portable toilet solutions from Jiejian range from plastic mobile porta potty and portable hand wash stations, to deluxe portable toilets. We can also add special details that you need for your special event. Based on our 20 years experiences, Jiejian can 3D demo what you need and then turn it into reality. As a professional event planner, we have designed numbers of bespoke CAD layouts and 3D demos for clients around the world. You can first get help from our tent event planning guide. Or just tell us what your event site is like and how many guests you want to invite below. We will handle all the rest for you. For more information about outdoor event solutions, contact us now for a free quote and a discount. We will offer you help and advice on the most suitable outdoor event solutions according to your budget.